Ata Abrishami, D.V.M. 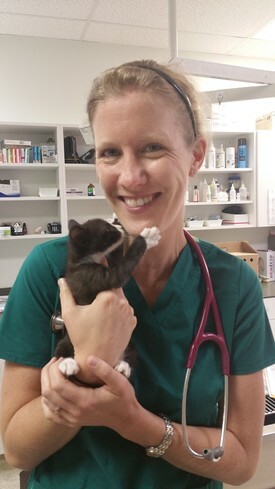 is Bixby Animal Clinic’s owner and primary veterinarian on staff. Dr. A, as all his staff and clients call him, has many years of experience, including clinic work at VCA Lakewood, VCA Coast in Hermosa Beach, and at VCA in Pittsburgh, Pennsylvania. Dr. A obtained his veterinary accreditation from Purdue University in West Lafayette, Indiana. In addition, he has extensive training in orthopedic surgery, obtaining his certification from Ohio State University in 2000. After months of planning and hard work, he opened Bixby Animal Clinic in October of 2005. In his spare time, he enjoys running, hiking, and spending time with his family. Mobile surgery specialist Paul Cechner, D.V.M, D.A.C.V.S. takes care of our hospital’s more complicated surgery cases, as he does for several hospitals in our community. He graduated from Veterinary School in 1973 from the University of Illinois and completed his surgical residency in 1976 at Purdue, where he stayed on as an Assistant Professor of Surgery through 1983. 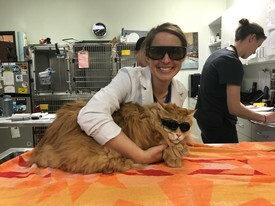 When he is not involved in the surgical treatment of the pets of the Los Angeles area, his animal family of five cats keeps him busy at home. Dr. Cindy Hong was born and raised in Southern California. She attended UCLA for undergraduate degree and Colorado State University for her D.V.M. degree. She has been an animal lover all her life and has a special interest in internal medicine, surgery, and wildlife rehabilitation. Dr. Hong currently lives in Long Beach and has 3 Chihuahuas and 1 Labrador. She enjoys outdoor activities such as running, biking and hiking. 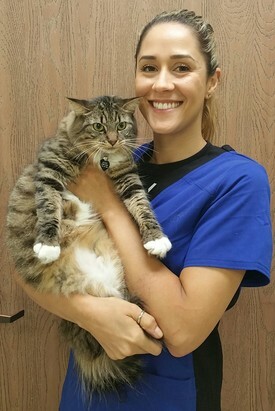 At Bixby Animal Clinic, she hopes to stregthen the human-companion animal bond through client education and working with the family as a team to ensure their pet is healthy and well taken care of. Dr. Alley grew up in Southern California. She completed her undergraduate degree in Marine Biology at California State University, Long Beach. While in school, she volunteered at marine wildlife rehabilitation centers and developed a passion for animal medicine. She attended Colorado State University for her D.V.M. degree and returned home to Southern California and joined our clinic. 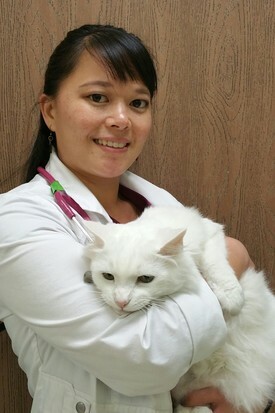 She is interested in internal medicine and surgery and loves educating clients so they can be fully involved in the care of their pets. Outside the clinic, Dr. Alley enjoys surfing before work and rock climbing outdoors with her husband on the weekends. She has a wonderful dog named Toki and his 3 mischievous feline sidekicks. 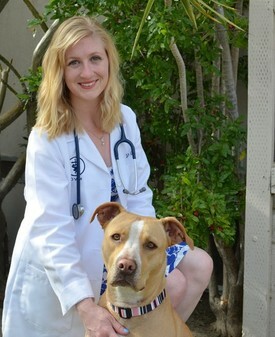 Dr. Katie O'Neill grew up in Los Angeles before heading up the coast to Cal Poly San Luis Obispo and obtaining her Bachelor's degree in Animal Science. She then returned to Southern California and received her D.V.M. degree from Western University of Health Sciences. and Little Bit the cat. Dr. Jenny Orozco grew up in Southern California and received her undergraduate degree from Cal State Fullerton. She then obtained her D.V.M. degree from Iowa State University in 2015. She enjoys rescuing animals and is looking forward to helping all of your pets. On her off time, she enjoys practicing yoga and spending time with her husband and pets.